It’s only just turned November, which means we’re likely going to hear about it every few days until the summer – especially if Coutinho continues on his current trajectory. Our Brazilian no.10 has been sensational this campaign, scoring four goals and registering four Premier League assists to boot; arguably the Player of the Season so far. So naturally, he’s being praised by all corners, but we get especially worried when those from Barcelona begin to speak up. For the umpteenth time, Neymar, Coutinho’s childhood friend and Brazil team-mate, has said he wants to join up with our playmaker. We assume these quotes hint that he wants Phil in Spain, not that he’s pining after a move to Merseyside! “Coutinho is a top player and I would play with him at the club,” he told Mundo Deportivo. Their same report suggests that Coutinho’s representatives are openly sounding out Barcelona about the possibility and although the European giants have no concrete plans to buy him, he is on their long-term consideration. It always happens that around the time of an international break, when Coutinho flies to South America and spends a week with Brazilians, these stories crop up. Following the Watford clash he’ll be on a plane to play two World Cup Qualifiers, likely lining up alongside Neymar and probably Gabriel Jesus, too. 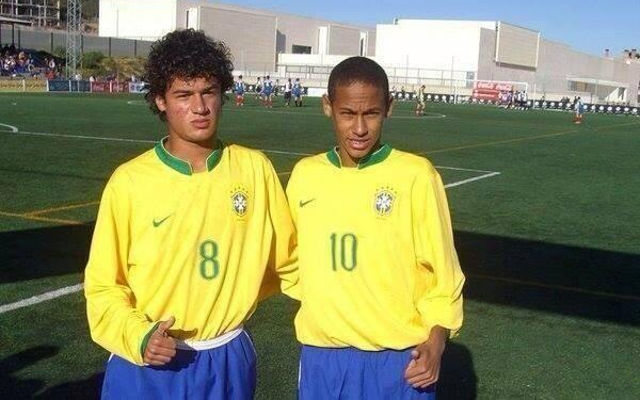 Obviously, Neymar is going to be doing all the persuading in the world. We just hope Liverpool under Jurgen Klopp, with Coutinho’s help, can become a club attractive enough to fend off interest from the likes of Barcelona.